This is a post from my old blog I wrote 2 years ago. I hope you celebrate agriculture today and everyday. On average, every hour, 24 hours a day, 365 days a year, around $6 million in U.S. agricultural products–grains, oilseeds, cotton, meats, vegetables, snack foods, etc., will be consigned for shipment for export to foreign markets. It all means more jobs and higher wages across the nation. U.S. agricultural exports generate more than $100 billion annually in business activity throughout the U.S. economy and provide jobs for nearly 1 million workers. Twenty two million American workers produce, process, sell and trade the nation’s food and fiber. But only 4.6 million of those people live on the farms– slightly less than 2 percent of the total U.S. Population. Consumers spend $547 billion for food originating on U.S. farms and ranches. Of each dollar spent on food, the farmer’s share is approximately 23 cents. The rest are for costs beyond the farm gate: wages and materials for production, processing, marketing, transportation and distribution. These are astounding facts. Most of us have seen the Super Bowl commercial “And God Made a Farmer”, which gives insight into the world of those who work in the industry. For me, though, agriculture is much more personal than having food on my table. It has been a part of my entire life and has instilled in me so many qualities. You see, for me, it is not just about the product and the benefits for the country, but about how agriculture has shaped my life. I can say that agriculture has been in the family for generations. My grandpa and great grandpa were crop farmers, and we now live on the same land they farmed. Mom helped with tobacco and had livestock growing up, and Daddy worked on a turkey farm. When I was little, I can remember Daddy bringing home an orphan calf for a day just so I could see it. I would go to work with him and bottle feed a calf or slide down the piles of cotton. Poor him didn’t know what to do with a 3 year old little girl who needed to use the bathroom on the dirt roads of the middle of no where, though. Anyways, this was images of my early years; however, we lived in city limits and couldn’t have any livestock and only had a vegetable garden and dogs. In my 4th grade year, though, my life would change for the amazing. We moved out to the family land that was across the road from my grandparents. Within the first year, we had gotten 4 goats and started showing them. That was a start of a passion and journey. Those 4 goats grew into a herd of 30 that I learned to manage myself, eventually. I learned how to trim hooves, give shots, birth babies, feed, recognize disease, and so much more. At 9 years old, I learned what it was to get my hands dirty and developed a passion for agriculture. I was always trying to increase my knowledge and animal count (let’s be honest). Goats were not the only thing I got into. I was soon showing pigs, turkeys, and horses from local to state. It was always a family affair going to fairs and shows. Agriculture has created a closer bond with my family. 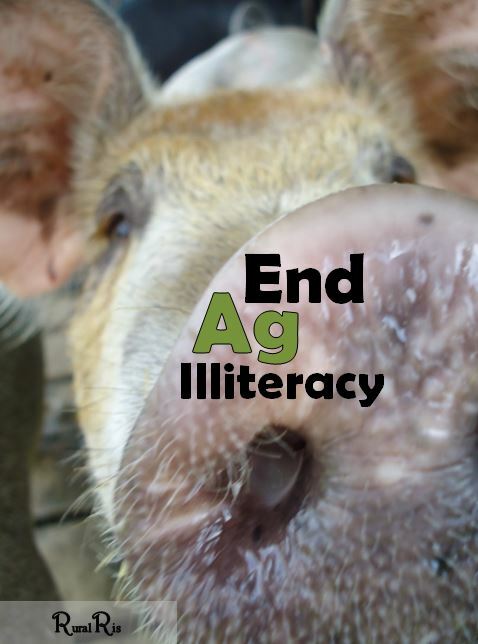 There have been countless dinner conversations about when to wean goats, how much weight the pigs can gain, and if we need more feed (we are always needing feed). 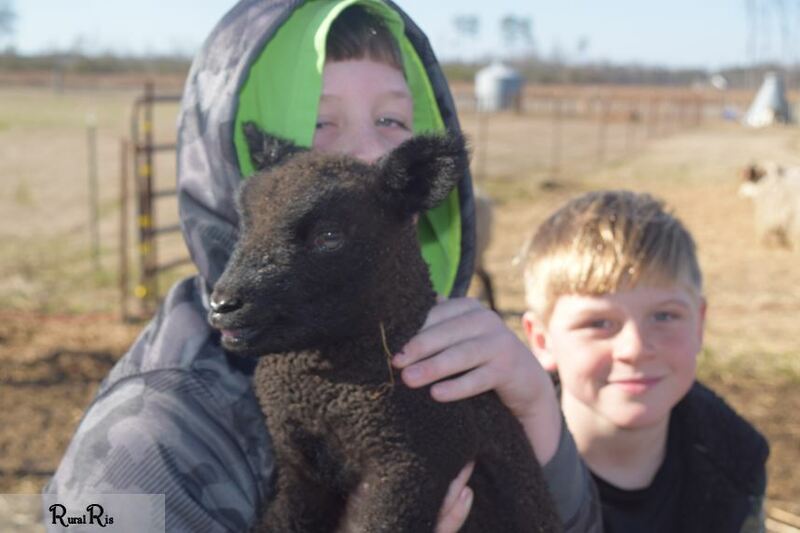 My little brothers have started an egg business, now, and I have gotten into sheep and using their fiber. Make It With Wool allowed me to travel nationally and share my love of part of the agriculture world– sheep and wool. It wasn’t just good things on the farm. Having livestock is hard. Goats getting out, fixing fences, mucking stalls, and feeding in the rain and mud were the less glamorous part of it all. It was also, though, seeing animals get sick, babies not make it till morning, and the disappointment in all your efforts, still not being enough. It isn’t all glitz and glam. It can be hard, but it so worth it. Walking into the show ring, seeing babies being born, or watching the animals get frisky in good weather makes you smile. Agriculture has gone beyond the farm for me, though; it is also been in contests such as livestock judging, skillathon, and quiz bowl. Doing these contests through 4-H has increased my knowledge, allowed me to meet people, travel, become a good sport, and public speak. That all being said, and there is so much more that could be said, agriculture has been a huge part of my life. It has taught me hard work, responsibility, public speaking skills, good sportsmanship, and so very much more. I have become closer to my family and met some wonderful friends. Agriculture puts food on the table, helps the economy, and provides jobs, but it has also benefited me in more ways than I can count. It is a part of me and will be in the future. Hopefully I will be able to find a career in agriculture, promoting it and being a communication person for it. So, here is to agriculture. Let’s celebrate this unique and amazing industry.